The winsome approach of Toronto quartet Grounders involves dredging up classic indie-rock sounds of the late ’90s and early aughts and putting a chilled-out, psychedelic spin on them, ending up with something gorgeous and casually grandiose. (Think Absolutely Free gracefully swooping into the space between Pavement and Grandaddy.) They’ve already shared a couple singles from their self-titled debut album — “Secret Friend” and “Fool’s Banquet” — and today they share a third. 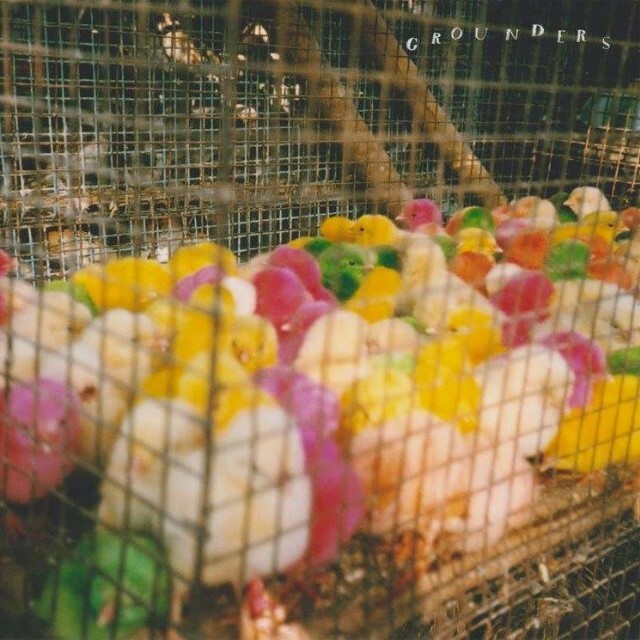 “No Ringer” presents Grounders at their briskest and best — momentum and anticipation building in the static, melodies snaking around lockstep drums and fervent bass. It strikes me as a sleepy sequel to Deerhunter’s “Nothing Ever Happens,” by which I mean it’s fantastic and you should listen immediately. Grounders is out 5/12 on Nevado.